@ Rachel Joy Thank you. LOL. He didn't actually EAT any of it. I did let him have ONE lollipop (from the candy we bought)- it was organic, but since it was his 1st candy experience - he loved it. That is such a great picture!! I love baby Yoda's!! 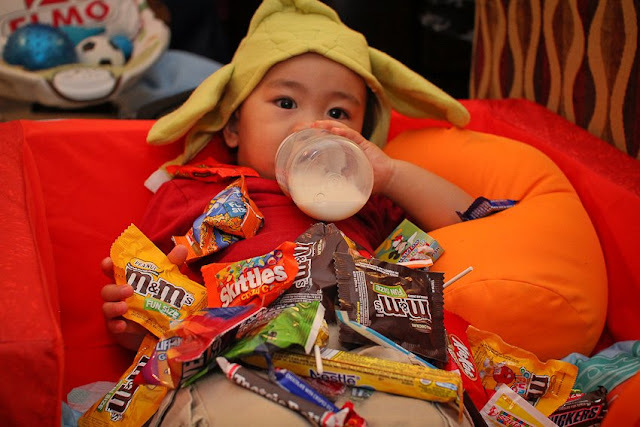 My youngest was Yoda when he was a baby too!! 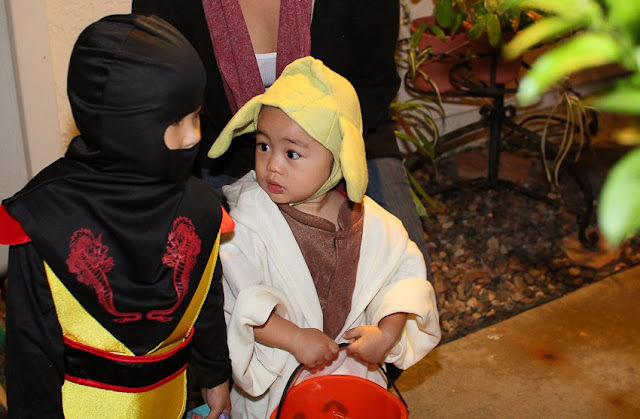 I also love the picture of him getting advice from his cousin the wise Ninja!! Just great! !